NEW ORLEANS – In a best-selling 2009 non-fiction book , Abdulrahman Zeitoun is portrayed as a hero for helping others in New Orleans following Hurricane Katrina. In the pages of a recent lawsuit, Zeitoun's ex-wife accuses the man of acts that are anything but heroic. Zeitoun is the protagonist of the best-selling 2009 book “Zeitoun” by Dave Eggers, which chronicles his experience during and after Hurricane Katrina. He is being sued by his ex-wife, Kathy Zeitoun, in civil court. Mrs. Zeiton alleges he assaulted her and ruined her financially. She also claims that while he was behind bars, Mr. Zeitoun tried to hire a hit man to kill her, one of her daughters and another man. On July 31, 2013, Mr. Zeitoun was found not guilty of both criminal criminal charges – solicitation of first-degree murder and attempted first-degree murder – following a criminal trial. During the trial Judge Frank Marullo of the Orleans Parish Criminal District Court discredited the testimony of one of the prosecution’s key witnesses, a former inmate who claimed Mr. Zeitoun tried to hire him to kill Mrs. Zeitoun and two others. Mrs. Zeitoun said in a Times-Picayune interview despite her ex-husband’s acquittal, she still fears for her life. She filed a civil suit against her ex-husband in the Orleans Parish Central District Court on July 24. Her suit claims that on July 25, 2012, Mr. Zeitoun attacked her with a tire iron near the corner of Pyrtania Street and Jackson Avenue. He allegedly lay in wait for her outside the office of an attorney, where a closing sale on one of the parties’ properties had just taken place. The suit claims that he blocked her in with his vehicle, tried to pry her car door open with a tire iron and then began to smash her windshield. Mrs. Zeitoun alleges that she then frantically climbed out of the passenger side of her vehicle and began to run down Prytania Street. She claims that Mr. Zeitoun chased her, knocked her over and began beating her with the tire iron and his fists around her head, neck and back, as well as gouged out the skin at her hip, partially tore her ear and attempted to strangle her and break her neck. According to the suit, these heinous acts of violence were allegedly committed in broad daylight in plain view of numerous witnesses. As a result of these incidents, Kathy Zeitoun and her minor children have suffered physical injuries, mental anguish, emotional distress and post-traumatic stress disorder, according to the lawsuit. The plaintiff’s vehicle has also sustained significant damage after allegedly being struck repeatedly with the tire iron, the suit states. In addition, a lucrative film contract for film based upon the book “Zeitoun” was cancelled. 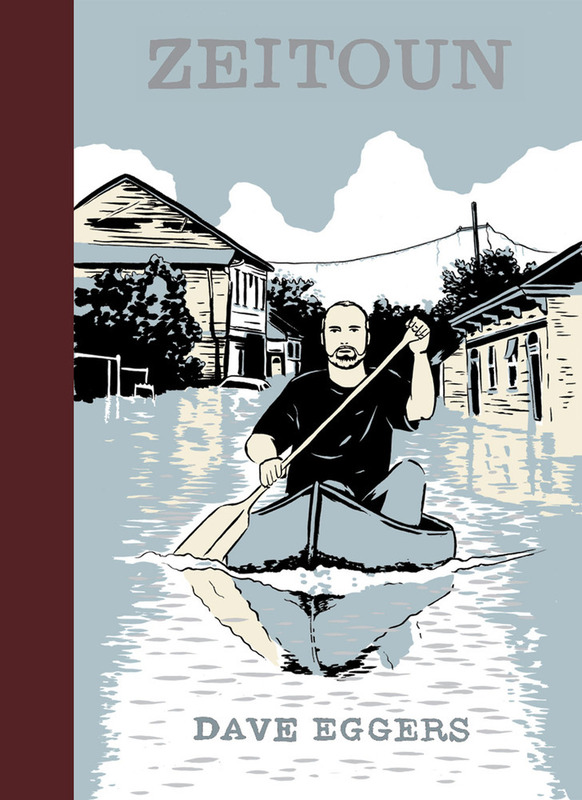 The book details Abdulraham’s experience canoeing the flooded city after Hurricane Katrina trying to help people, when he was wrongfully imprisoned on chargers of looting. The chronicle paints the then-couple’s relationship as a loving and equal partnership, and until recently was slated to be adapted into an animated film directed by Jonathan Demme. She claims the cancellation of the film contract cost her at least $150,000 that she would have received under the production contract, as well as untold additional profits the Zeitouns would have received related to the film and additional royalties from the book that would have resulted from the increased attention brought about by the movie. The plaintiff seeks an unspecified amount in damages for these losses individually, as well as on behalf of her minor children. The plaintiff is represented Neil D.W. Montgomery of The Montgomery Firm LLC of Destrehan.